A couple of weeks ago, I wrote about the benefit of considering a home that doesn’t have all the bells and whistles that you were hoping for. It is OK to purchase a home that needs some work. I have another piece to add to the equation that you may find very interesting. Consider the following scenario: You are pre-approved for a mortgage of $200,000 and you have found a home in just the location you were looking for and it meets almost all your expectations, but it is lacking a first-floor bath which is a necessity and the kitchen is almost non-existent, with just the old farmhouse sink and a couple of metal cabinets. Surely nothing you could see yourself cooking in. 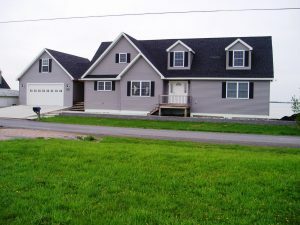 The rest of the property is a perfect match for you and best of all at $150,000 this home comes in way under budget. You have heard the saying that you can always change the house but the location is the location. What should you do? You don’t think that you will be able to come up with the amount of money needed to do the bathroom addition and kitchen renovation but the yard, the neighborhood and everything else about the home is perfect. This is a case where you will want to talk to your lender to see if an FHA 203K Loan will be a good fit. To put it very simply an FHA 203K loan allows the buyer to build the costs of the renovation into their loan and take advantage of low mortgage interest rates to accomplish the renovation rather than putting all the items on a credit card at a later date. While an FHA 203K loan is a bit more complicated and lengthy, the benefits can far outweigh the extra effort needed to get through to closing. You will have to have a contractor provide a detailed written estimate of the work to be completed. After the lender orders the appraisal, the appraiser will evaluate the property and determine the appraised value as if the renovations are complete. The renovations will occur after closing but the appraised value has to justify the loan amount with the cost of the renovations factored in. The time frame to complete the renovations after closing is 6 months. If you are selling your home, your agent’s knowledge of different loan products can open your home up to a new pool of buyers. If you are purchasing a home, your agent’s knowledge of different loan products will open up more homes for you to consider.